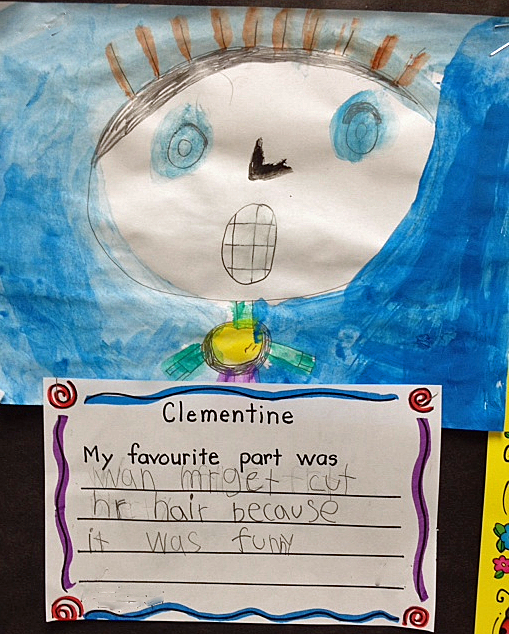 We finished reading Clementine yesterday! It was such a good book it's actually hard to let it go. I want to live with Clementine forever:) You can read my book review here. Fortunately there are 3 more books in the series. I have The Talented Clementine which we'll start reading in the new year. After we turned the last page and closed the book the kids and I talked about our favourite parts. Then they painted those scenes and wrote about them. 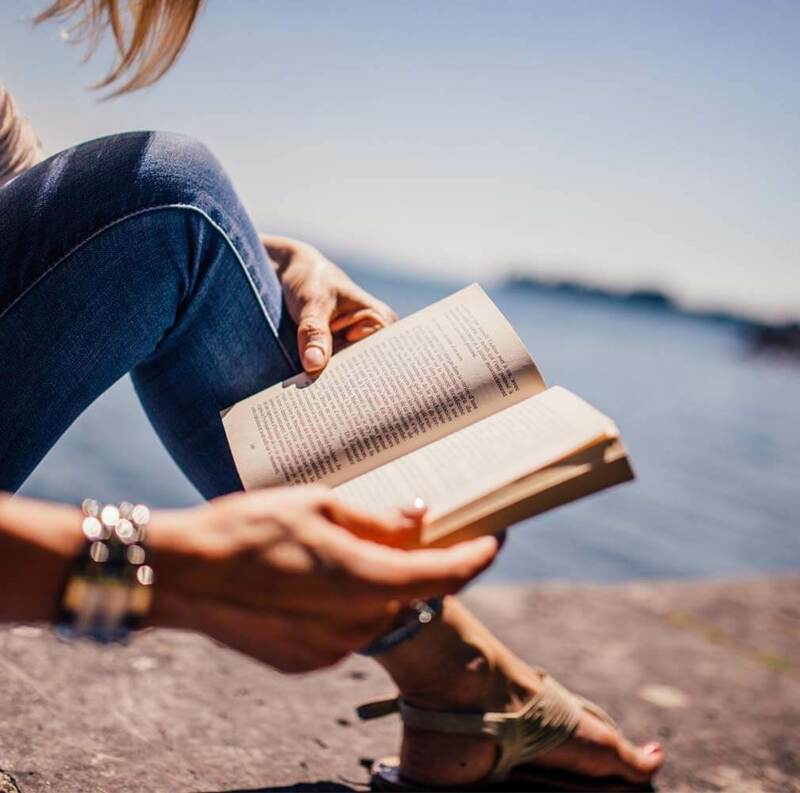 One of our PLO's (prescribed learning outcomes) is to learn to express an opinion about books and to be able to give a reason for your opinion, so that's what we did. Margaret's hair cut and The Great Pigeon War were the top favourites! We've just started our third novel by a well-known children's author, Cornelia Funke. I'm also reading Inkheart at home right now. What an amazing author Miss Funke is! I love Inkheart, but I don't know Santa Fell to Earth! I'm so excited to go get it from the library tomorrow morning. I don't know Santa Fell to Earth either! It sounds pretty cool. Your class's artwork is pretty cool too. Thanks for sharing! What a fabulous lesson! I will have to check into Santa Fell to Earth. It sounds terrific! We are reading Clementine at home (to catch up on the parts M missed while away) and I think I'm laughing just as much as my kid! 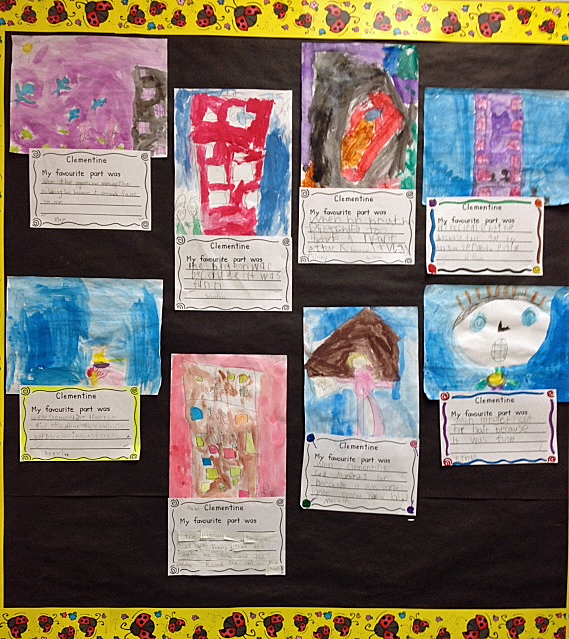 I absolutely love the pictures your children painted. 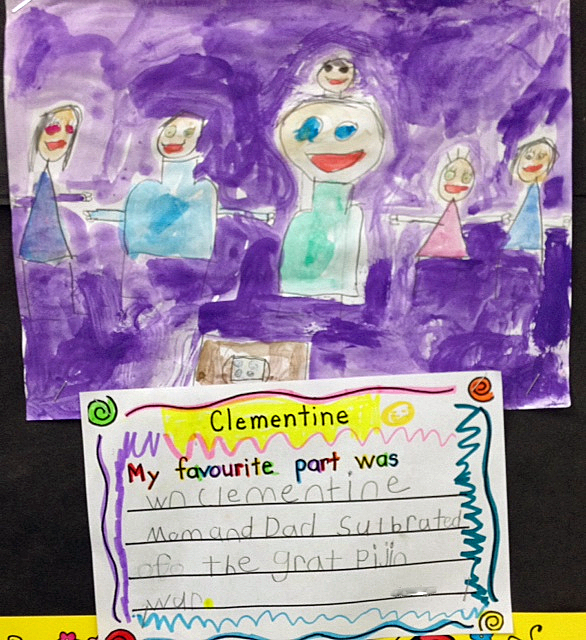 When I get back to school, I am going to have to see if we have Clementine in our library! 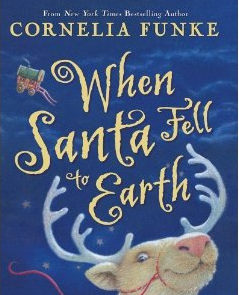 I can't wait to read the Cornelia Funke books to my own children! 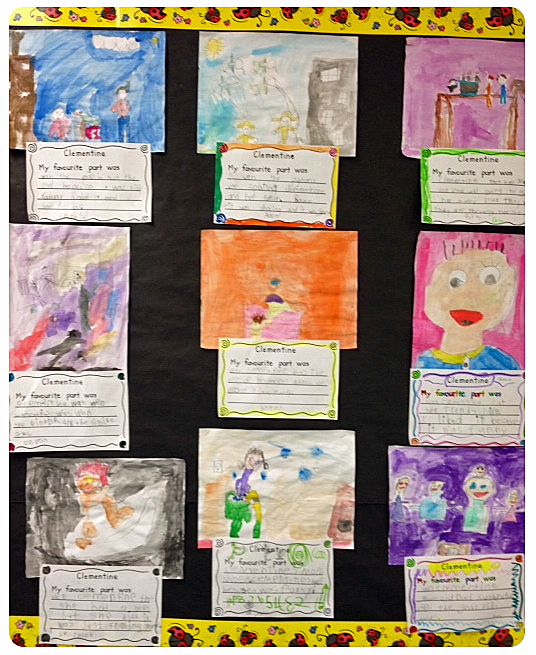 Your students' paintings a fabulous- love that last one that you shared! Don't you just hate it when a good book ends? I just love your book selections. Your students painting are so cute!